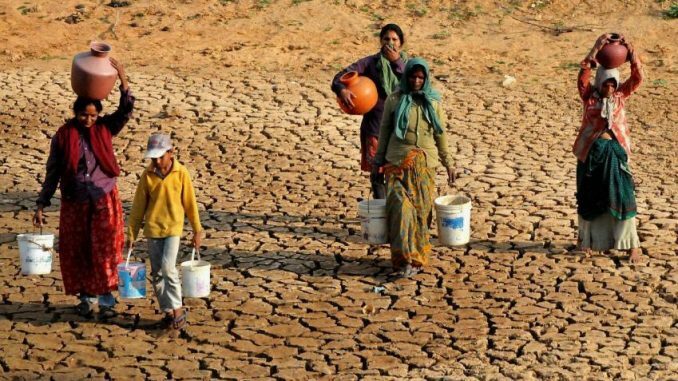 New Delhi: An agreement was signed on September 8, between the Centre, the Andhra Pradesh government and a UN body to help five of the driest districts of the state to become drought resilient. The Rs 1,000 crore project is expected to improve the income of nearly 1.65 lakh households in Anantapur, Chittoor, Kadapa, Kurnool and Prakasam. It was signed today in the North Block between the Centre, UN body International Fund for Agricultural Development (IFAD), and the Andhra Pradesh governments Drought Mitigation Project. According to the agreement, IFAD will provide 50 per cent of the required sum (USD 75 million) over five years, and rest will be raised by the state, NABARD (National Agricultural Bank for Rural Development) and government schemes like NREGA, said B Rajasekhar, principal secretary in the Agriculture and Civil supplies department in the Andhra Pradesh government. “Funding will start from today. It is a comprehensive project that focuses on usage of micro-irrigation and other technology. The emphaisis will not just be on agriculture productivity but also on related livelihoods like sheep rearing. We are looking to help farmers build a better network for production and marketing of their produce,” the official said. IFAD will monitor the project and, at the state level, a steering committee will oversee it. The International Fund for Agricultural Development (IFAD) is an international financial institution and a specialised agency of the United Nations dedicated to eradicating poverty and hunger in rural areas of developing countries. After the period of five years, the state government will be taking efforts to sustain the project, Rajasekhar said.